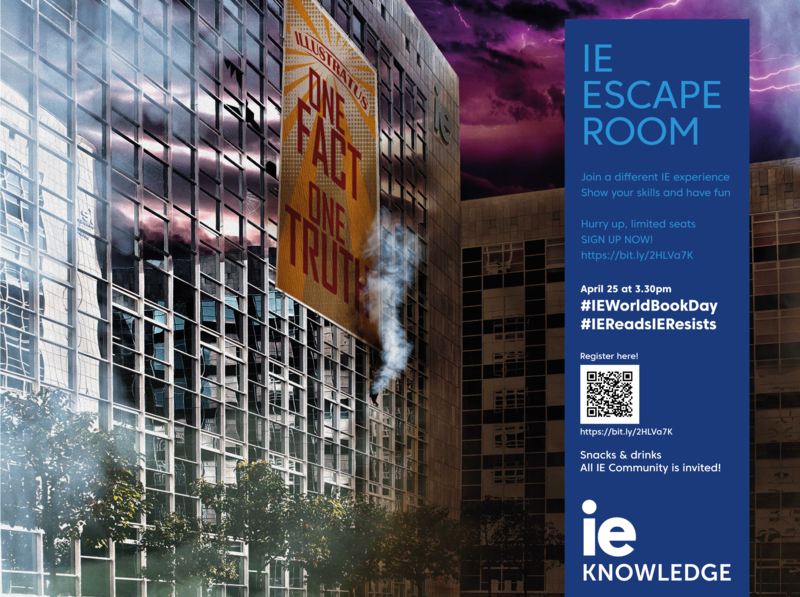 To celebrate World Book Day, this year IE Knowledge has organized an outdoor escape room here at IE. Join the fun with us on April 25th, 3.30pm at Hub 2 (Velázquez 130). All IE Community is invited! For nearly two hours, you will have to face unusual challenges around the IE Madrid Campus, solving puzzles and meeting strange characters. To participate in this event, call your IE friends and build your own team of 5 participants. If you don’t have a team, don’t worry, we will find you one. The teams should be formed by IE Community members (Students, professors, staff or alumni). Remember to wear comfortable shoes.